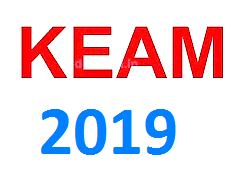 CEE, Kerala has declared KEAM 2019 results today. Kerala Engineering, Architecture, Medical entrance examination is taken by candidates seeking admissions to engineering courses in Kerala. Candidates must enter KEAM 2019 Application No and Roll No to check their results. In the KEAM 2019 examination, Candidates who have not appeared in both the examinations and candidates who have scored less than 10 in each paper of examination have been withdrawn. The scores obtained by engineering aspirant in the KEAM 2019 examination will help them seek admissions to over 150 engineering colleges, out of which 13 colleges are Government colleges, 24 government sponsored institutes and 113 private engineering institutes. The total number of seats in these engineering colleges are 53,494 and 1,19,025 candidates have appeared for the examination. The admission to these engineering colleges in the state of Kerala will be given to students on the marks obtained by them in the KEAM 2019 examination (Engineering Paper 1 & Paper 2) and the marks obtained in Class XII or equivalent in Maths, Physics and Chemistry.